On the "Open Way" of now, every act arises here. Through this spontaneous and natural function of no-mind love, Hogen invites us to see, to meet, to open in full discovery of THIS! Zen Master Hogen-san the founder of Open Way Zen began his spriritual journey as a teenager, roaming the Japanese countryside from monastery to hermitage in search of the ultimate truth. Carrying few possessions, he visited a wide range of noted teachers, in both the Rinzai and Soto traditions. After many years of inquiry, he met an enigmatic monk, who, in response to a sincere question about the meaning of life, shouted "this is it!". That monk eventually became Harada Tangen Roshi, the widely respected Abbot of Bukokuji Monastery, and Hogen-san's lifelong teacher. Hogen San has also written about his life koan. More than thirty years ago, after a term of solitary retreat, Hogen-san assumed responsibility for a vacant Soto temple. It is located in a traditional farming community near the foot of Mount Fuji. Here he established a simple lifestyle with a daily schedule of meditation, yoga, running and organic gardening. Recently his son has taken over as abbot administering the religious needs of his village and Hogen-san has retired from formal duties. Following his retirement he has authorised a small number of teachers in Australia as future Dharma successors. He now makes frequent trips to Australia and keeps close correspondence with many friends and students	worldwide, among them leading artists, humanitarians and philosophers. Doko-san has been practicing Zen since 1989 and met Hogen-san in 1991. He became a monastic disciple in 1994, with dharma heir transmission in November 2007. He became Hogen-san's "fully transmitted successor and a new ancestor in the lineage" in 2009. He is the senior monastic of Open Way Zen sangha, Abbot of Dochu-an and Shumpu-an Zen hermitages in Northern NSW, and guiding teacher of Little Zen Sangha Hobart, Australia. He lives in Mullumbimby, NSW, with fellow monastic and lay disciples. Click here for letter of transmission. 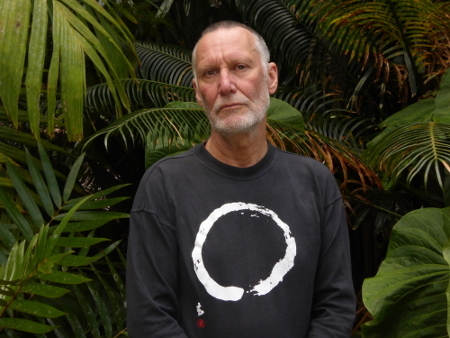 Peter (Genjo) Bruza started zen practice in the late eighties with the Kanzeon Sangha (The Netherlands). His first teacher was Genno Roshi /(Kanzeon Sangha), who greatly helped him on The Way. After moving back to Australia he briefly studied within the	Korean Kwan Um school of zen and then met is master, Hogen Yamahata at a sesshin near Byron Bay in 1995. Since then he has been studying under Hogen san's guidance and became a Dharma successor in August 2008. Peter developed a serious interest in zen during his mid teens but it wasn't until the early 1990s that he began regular practice. 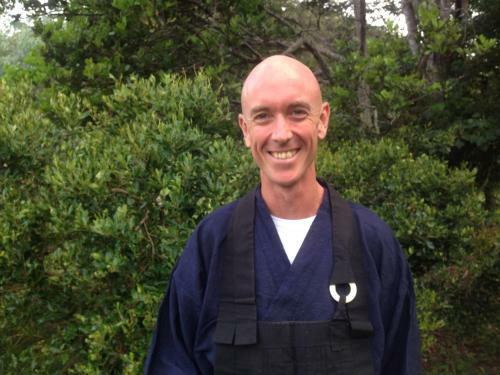 His first formal teacher was John Tarrant, through retreats with the Sydney Zen Centre. On moving to Queensland in 1996 he became, and continues to be, a student of Zen Master Hogen Yamahata. The late Chan Master Sheng Yen has also influenced his practice. Peter's formal Jukai was with Harada Tangen Roshi (Hogen Yamahata's master) on 16 August 2001,	receiving the Dharma name of Daigyo Genyo. Peter ordained as a monk on 18 April 2003, and in January 2008 Hogen Yamahata gave him authority to teach, lead retreats, and give dokusan. 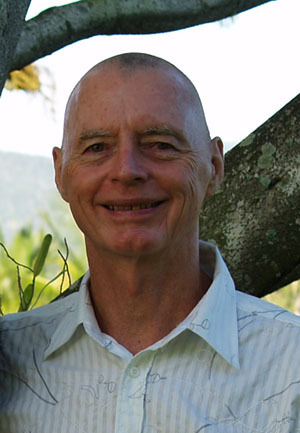 Quentin studied about Buddhism in the late 1960s when a medical student in Adelaide by reading publications from the Buddhist Publication Society of Shri Lanka. This he continued to do when working as a young doctor in the 1970s. In 1974 he went to Sydney to study Public Health and met and learned from Phra Smai of the Thai Sangha -	now Than Chau Khun Smai, and Lama Yeshe of the FPMT Tibetan Sangha. On returning to Papua New Guinea he continued his reading and learning and attended retreats and teachings at Buddha House Tibetan (FPMT) in Adelaide when he went there to visit his parents. In the 1990s after he, his wife and two daughters moved to Cairns he undertook Vipassina retreats at Pomona, north of Brisbane, under the guidance of the Goenka organisation. In the latter half or the 1990s he worked with Laurence Kantipalo to help establish the Bochicitta Buddhist Centre in Cairns and was its foundation president. He undertook teachings and retreats with the guidance of Laurence Kantipalo. Amongst the visiting teachers to the centre were Lama Choedak and	Master Hogen-san. 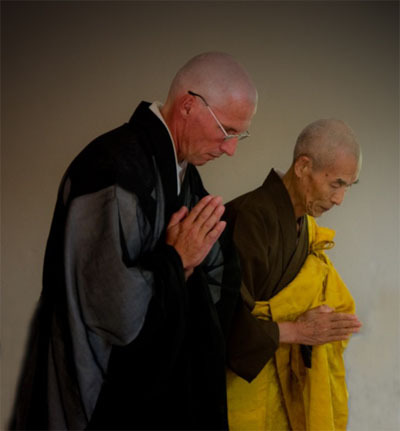 He undertook several retreats with Master Hogen-san in Cairns and in southern Queensland and was ordained by him on the 12th of March 2005 and given the Dharma name of Genshu. Master Hogen-san gave him permission to teach and also supported his application to the Buddhist Education Foundation of Taiwan to have a number of books of Buddhist teachings published, including a number of books translated into Tok Pisin for use in Papua New Guinea. 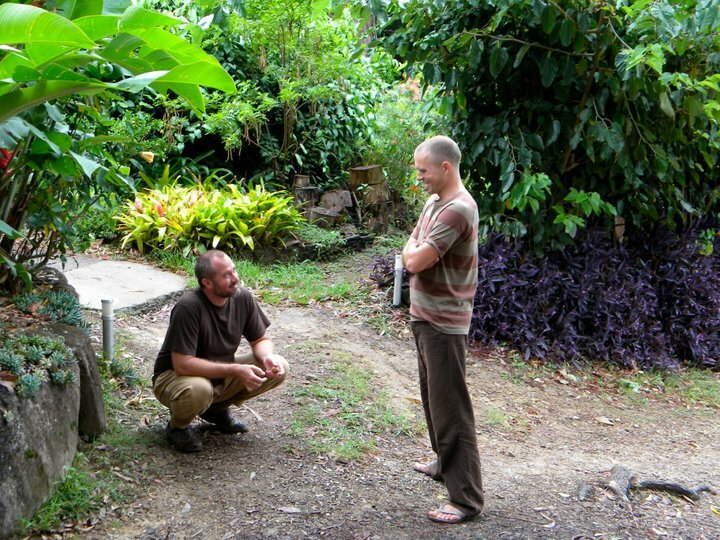 As well as teaching in Cairns he also taught about the Buddhist teaching and meditation in Papua New Guinea. In 2008 the Sangha bilong Groim Klia Save (Sangha for developing Understanding and Wisdom) was	started on Kali Island in the Manus Province of Papua New Guinea. This Sangha is based on Thich Nhat Hanh's Order of Interbeng. Quentin has written a book titled "How to Grow a Good Life and Happiness". Click here for details on downloading the book or ordering a	hard copy. 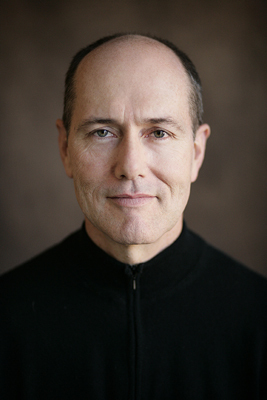 Mark has a long history of Yoga and Buddhist studies and teaching for over 20 years. He met his first Master HWL Poonja (Papaji) in Lucknow India in 1992 and continues to be a devotee of his. He then went on to study and teach Yoga in the Ashtanga and Iyengar lines, his principal teachers being Nicky Knoff, James Bryan, Pattabhi Jois and BKS Iyengar. 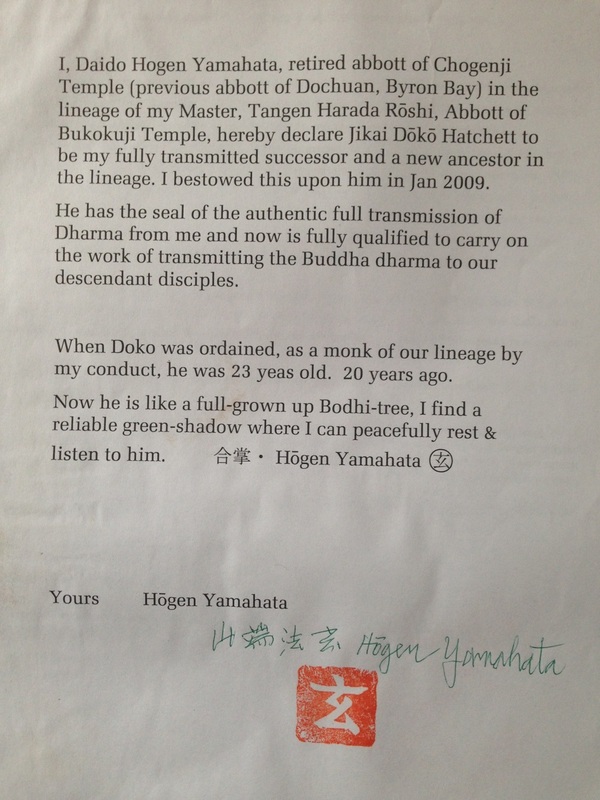 In 2001 Mark met Hogen-san and after a long time yearning to	become a monk, he ordained with him in 2003. 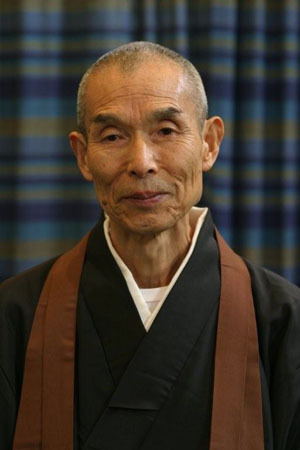 He continues to be a student of Hogen-san’s and a member of the Open Way Sangha and in 2016, Hogen san gave him permission to teach, give dokusan and lead retreats. Eric developed an interest in Zen in his late teenage years which led to a short introductory course in Zazen in the mid 1970s. He dabbled more off than on until one day in 1990 while sitting at the end of a yoga class he questioned his motives. This led to a vow to begin there and then a full time Zen practice. He met Hogen-san in Sesshin in 2001 and felt a fire was lit under his zafu! He ordained in 2004 and was made a teacher in the Open Way tradition in 2014.